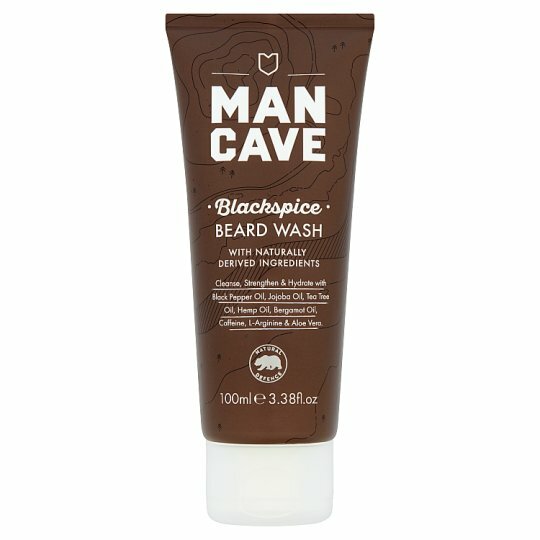 Treat your beard right with ManCave's BlackSpice Beard Wash, specifically formulated with Tea Tree Oil to help remove any unwanted impurities while keeping all the natural oils locked in your beard. Whilst L-Arginine, Jojoba & Hemp Oil deeply hydrate your facial fuzz, relieving irritation and leaving you feeling fresh and revived with our BlackSpice scent. Directions: Apply onto wet beard, leave to rest, then rinse with warm water.